Do you want to enhance your gambling experience? 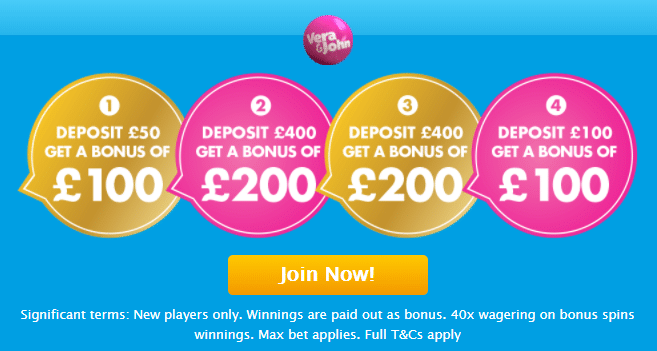 Enter Vera&John casino and deposit £400 to get £200. All existing players from the UK can qualify for this bonus. Deposits made with Neteller and Skrill are not valid for this deal. The additional cash work on any games you want to play. Wager the bonus amount 40 times before making any withdrawals can be made.